Review this section of our website to find information regarding the people and culture of our company. If you want to know where we're located, our hours of business or simply what makes us tick, just follow the provided links for more information. Once you take the time to find out what we're all about, we're confident you'll like what you see. 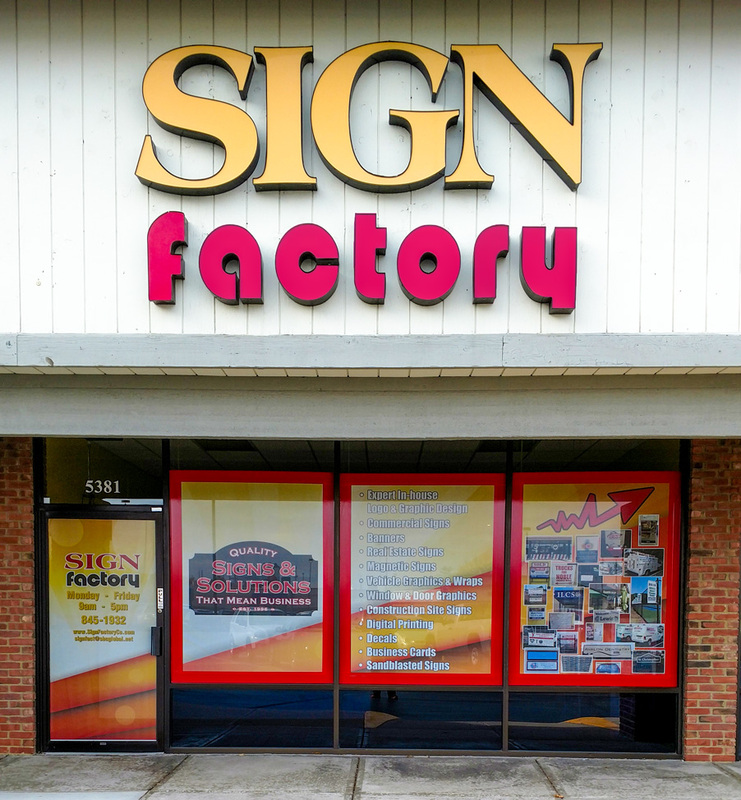 In business for 20 years, Sign Factory creates unique advertising materials that draw attention to your organization or business. We offer friendly, professional service. Our creative and experienced staff works one-on-one with you to make sure you get what you want. We offer competitive pricing and quick turnaround.